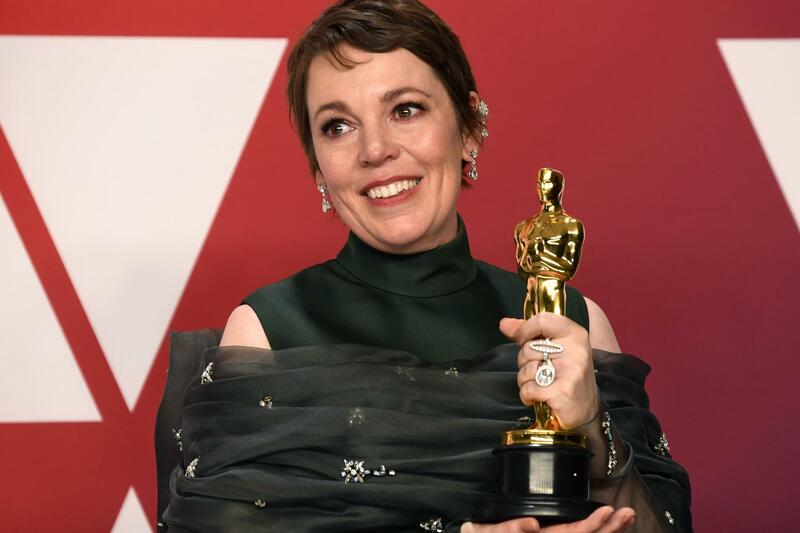 Colman's win in the Best Actress category brought Yorgos Lanthimos's period piece back in the spotlight after being shut out for most of the evening, missing out on its two Best Supporting Actress nominations (for Emma Stone and Rachel Weisz), as well as nods in the Cinematography , Costume Design, Directing, Film Editing, Production Design, and Writing (Original Screenplay) categories. Close was one of the strongest nominees in the Best Actress category, which also included Yalitza Aparicio, Lady Gaga, and Melissa McCarthy. Oscars Show – Hollywood , Los Angeles, California, US, February 24, 2019. Peter Farrelly accepts the Best Picture award for "Green Book." Green Book earned Mahershala Ali his second Oscar in the Actor in a Supporting Role category, and the film also took the Oscar for Writing (Original Screenplay). Black Panther won big throughout the evening, receiving awards in the Costume Design, Music (Original Score), and Production Design categories. It also scored nominations for Best Original Song, Sound Editing, Sound Mixing and Best Picture, for a total of seven nodes. The evening also saw Regina King picking up the Oscar for Best Supporting Actress for her role in If Beale Street Could Talk . Roma won in the Cinematography, Directing, and Foreign Language Film categories. One of the highlights of the ceremony came when Spike Lee won the Oscar for Best Adapted Screenplay for BlacKkClansman . This is the 61-year-old director's first Academy Award win, and he has topped it off with an acceptance speech in which he urged American voters to "do the right thing" during the 2020 presidential election.